Located at the lobby of Thomson Medical Centre. Located at HDB Block 2 opposite of Thomson Medical Centre. Car Park: Enter from Novena Rise or Balestier Road. By Bus: Take Bus 143 from Toa Payoh Bus Interchange. Alight at second bus stop. 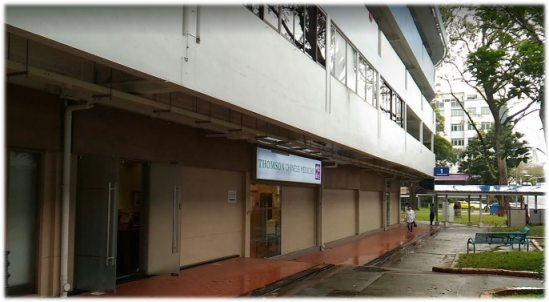 Located at HDB Block 1 opposite of Thomson Medical Centre. We conduct some of our Antenatal Classes here. Our Confinement Food Tasting Session is also held here. Located at HDB Block 1 opposite of Thomson Medical Centre. For locations of other Thomson TCM clinics please visit website here.